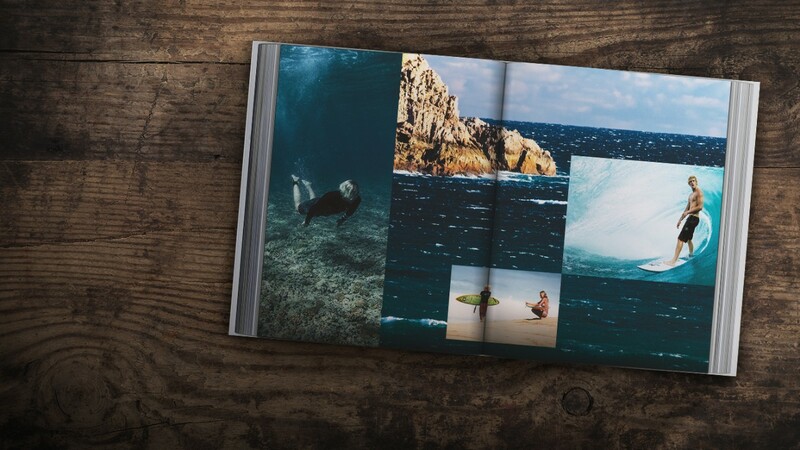 You’ll be surprised how easy it is to combine a few photos into a striking new layout of your own. In Photoshop, choose File > New. Select a Document Type, such as Web or Paper. An image destined for online use is measured in pixels. An image destined for print is measured in inches. Set the Background Contents to Transparent. Click OK. Drag an image from your computer into the document. Click and drag the handles around the edges to resize the image to fit the document. Hold Shift while you resize to constrain the image to its original proportions. Press Enter or Return to finish placing the image — you won’t be able to continue until you do. Drag more images into the document. Don’t worry if they overlap — you can adjust that later. 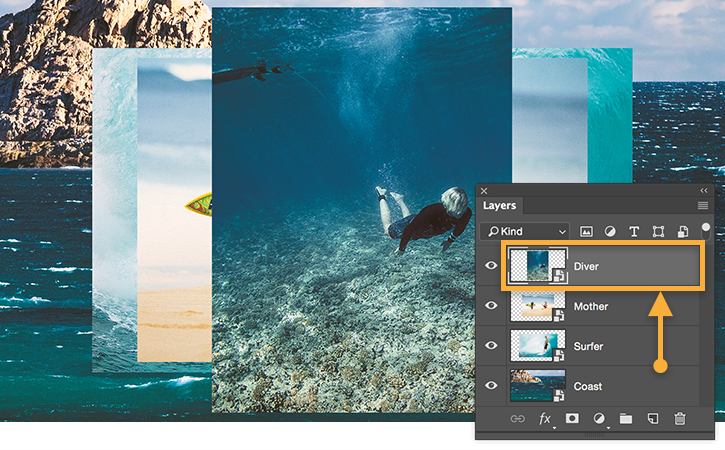 Each image becomes a separate layer, which you can view in the Layers panel to the right of the working area. 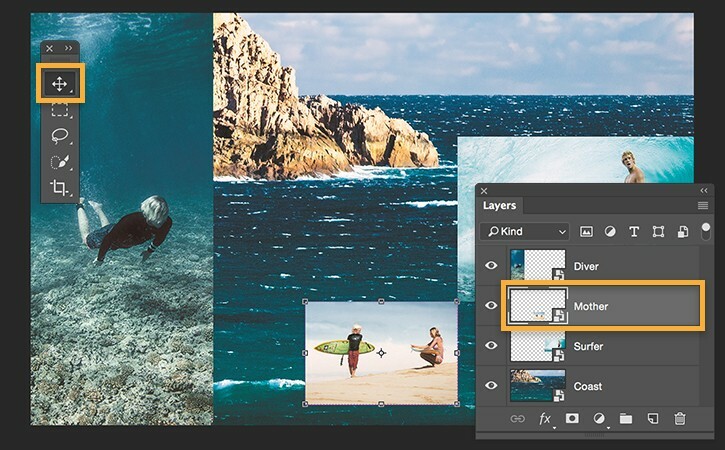 If it’s not visible, choose Window > Layers. 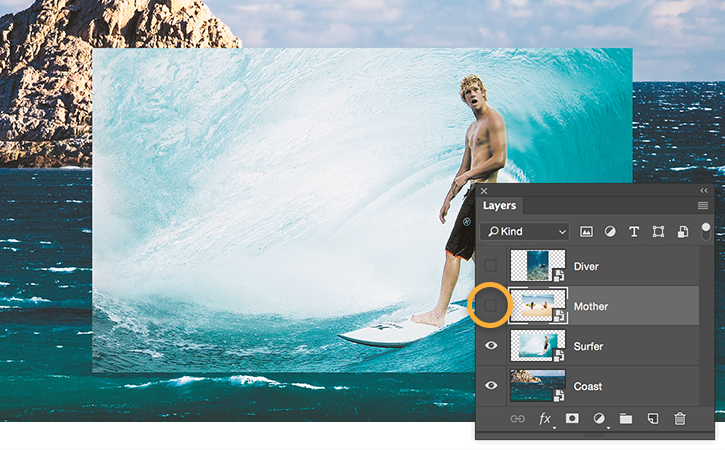 Drag a layer up or down in the Layers panel to move an image in front of or behind another image. Click the eye icon to hide a layer. Click again to make the layer visible. 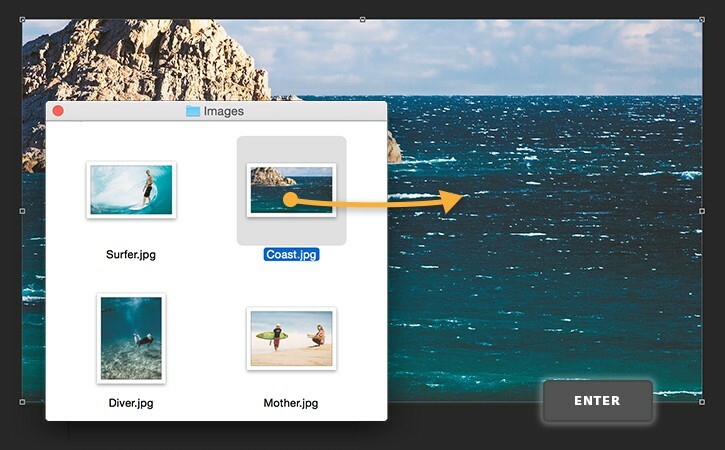 Now that you know some basics, you can fine-tune the placement of your images until the layout looks just right to you. 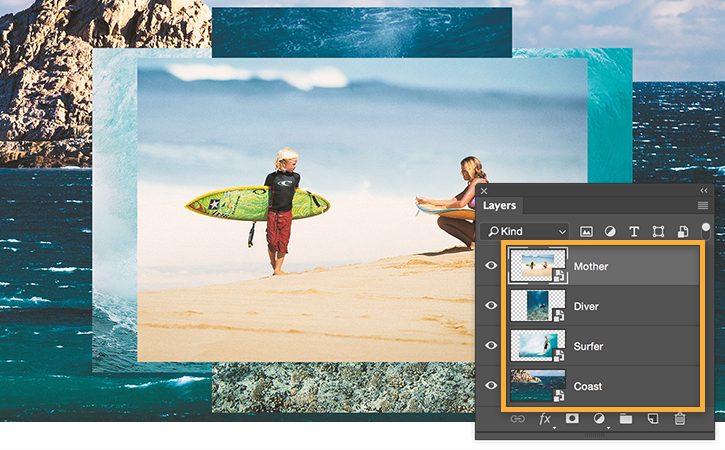 Select an image layer in the Layers panel, and then use the Move tool to reposition the image on the canvas. To resize an image, select the layer, and then press Control+T (Windows) or Command+T (Mac OS) to show the handles. Drag the handles to resize the image. Reposition each image to create a unique layout. Play around with the composition until you’re happy with how it looks. You have moved and arranged images to create a composition. 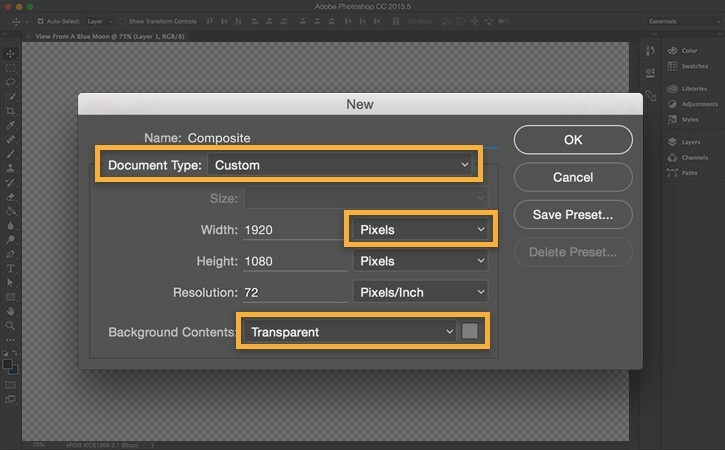 Now you can apply this technique to a variety of print and digital projects. 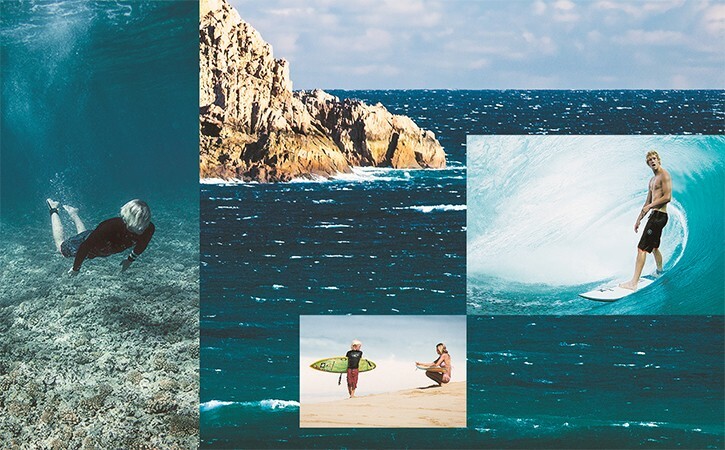 Original surf photography from the making of View From A Blue Moon, one of the most ambitious action sports film projects to date. See more at viewfromabluemoon.com.